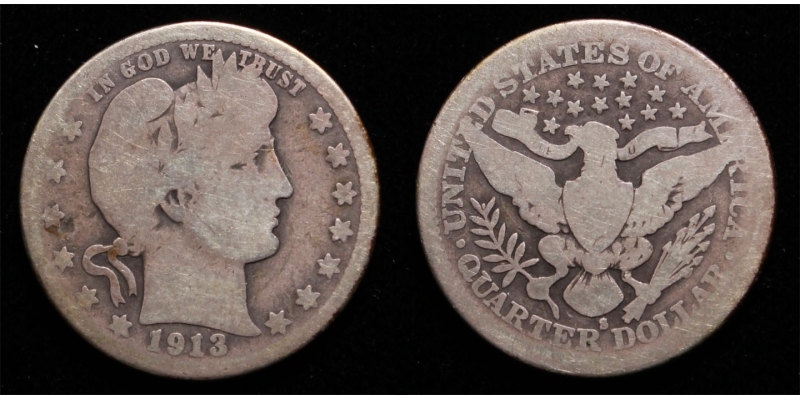 Another nice rare 1913-S quarter. "L - Y" show on obverse while the reverse rims are slightly weak on right half of coin. 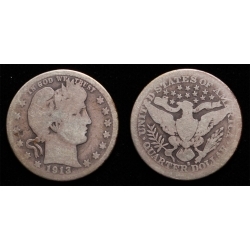 Obverse has old tiny mark by *4 otherwise this coins again - choice for grade. Nice, rare, and in demand. Will fit perfectly in any low grade set!